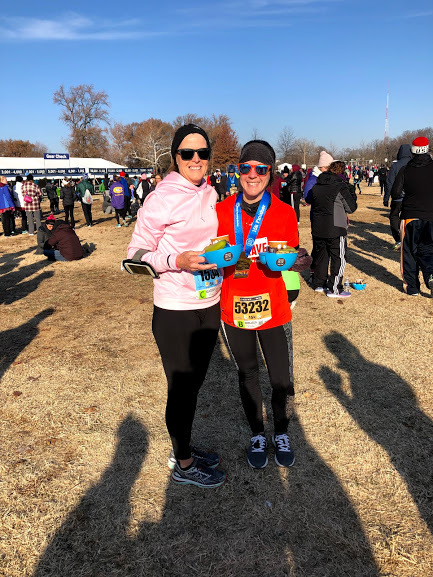 Hot Chocolate 15k Race Recap! "Disclaimer: I received free entry into the All State Hot Chocolate 15k as part of being a BibRave Pro. Learn more about becoming a BibRave Pro (ambassador), and check out BibRave.com to review find and write race reviews!" On Sunday December 9th I was fortunate enough to run the All State Hot Chocolate 15k!! This was the first time I raced this distance and the second time I’ve ran a Hot Chocolate race. To say that I had a blast would be an understatement. 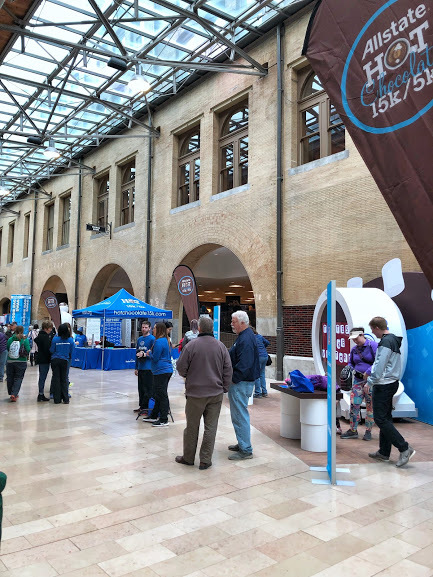 First of all the expo, which was on Saturday at Union Station in downtown St. Louis, was awesome! The entire process was painless and the volunteers and those working the expo were super helpful. Not once did I feel like I was in the way or asking a silly question. Second, the course was so nice. A little hillier than I expected but overall it was a route I’d love to run again! On course the aid station volunteers and spectators were awesome. I can’t say enough great things about the support on course. Third, the bling afterwards! I’m a sucker for a great medal and this one did NOT disappoint! On top of that the jacket that we received for running the race is one that I will wear MANY times! As I’ve said from the start, the Hot Chocolate race series knows what they’re doing and how to treat their runners right! Overall I highly recommend this race to anyone who happens to live in an area where a Hot Chocolate Run is available, I personally will run this series every year from here on out because it’s so well put together and managed that it makes running in the race so enjoyable! Another perk was that immediately after the race I was able to claim my results on Athlinks... I did a step by step tutorial on my Instagram Stories that you can find HERE under the BIBRAVE Tab! I also reviewed this race on BibRave.com which you can find HERE! Not entirely sure if that counts but it sounds good to me!